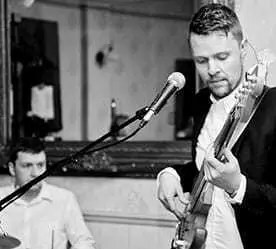 A 4-piece party and wedding band from Surrey and Hampshire, Beats Working feature some of the finest musicians around. The current band members are all full time professional players and have been performing together for over 14 years. 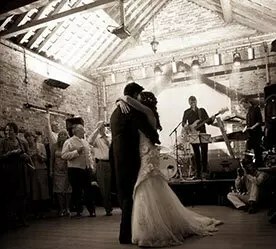 As a party and live wedding band from Surrey they play a stunning range of great covers. These carefully selected tracks span many different styles and genres and are taken from across the decades. All designed to get you and your guests up and dancing. The band have performed at receptions, corporate events, charity balls, galas and private functions all over the local area. 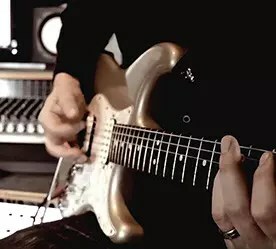 Beats Working are a wonderful choice if you want to hire a band who are really exciting and can really be the main focus of your evening’s entertainment. They are used to performing to the highest of standards, regulars at some of the best venues across London, Surrey, Hampshire, Sussex, Berkshire, Wiltshire, Dorset and Somerset. The group have performed at many of the country’s best wedding venues. 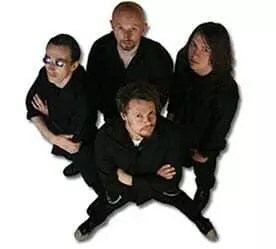 You’ll always find the band in constant local demand too, with private and occasional public functions in the Guildford, Godalming, Farnham, Aldershot, Fleet, Haslemere and Liphook area. 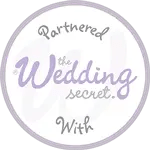 They are also very popular in party and wedding venues spread across the South Coast from Brighton to Chichester, Portsmouth to Southampton or from Poole to Bournemouth. If you want to hire a wedding band who covers just about everything while avoiding becoming cheesy, then hire Beats Working! There’s songs from Motown to rock, from indie anthems to today’s pop and dance floor classics. Music from the 60’s right into 00’s and beyond. 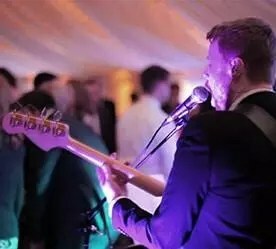 The band are always happy to discuss your event and tailor their playlist towards your audience’s taste too, so no need to feel left out, you’ll be involved all the way through. The group provide brilliantly entertaining, yet authentic cover renditions, that are still infused with their own style. 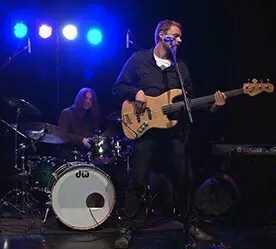 A compact 4-piece – great if you wish to hire a band who can easily accommodate different venues, spaces and audience sizes. 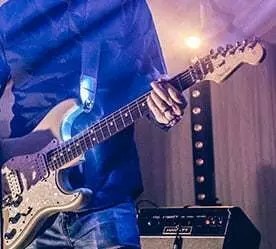 If you want to hire a band who deliver a really big sound whilst taking up only a modest footprint – Beats Working are definitely a great choice. Night after night they give their all to ensure wonderful evenings of unforgettable live music entertainment. A great option for those entertaining guests of all ages, styles and tastes. Beats Working's eclectic set list always has everyone up and dancing. 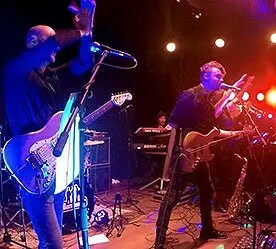 The band's consummate professionalism have made them the go-to live band for many events organisers and wedding planners. 6pm set up – 12 midnight finish. A great option for those with a guest list of mixed ages, styles and tastes - Beats Working's eclectic set list will have everyone up and flocking to the dance floor! The perfect party band! Beats Working really know how to get all your guests in the mood for a good time. Peerless professionalism and experience at the peak of the industry make Beats Working the go-to live band for corporate event organisers across the country. Professional band with an awesome live show. Just wanted to email to say thanks again for playing at our wedding. I’m sure we relayed how thankful we were on the night in our drunken states but just wanted to say it again! The guys were absolutely awesome and we got so much positive feedback from all our guests saying how amazing they were – I think the amount of people on the dance floor all night and the calls for more songs at the end were evidence of that! We wouldn’t hesitate in recommending you to friends. You really created the party atmosphere we were hoping for and we loved it all – so thanks again for an unforgettable wedding. As anticipated the guys were brilliant and it was universally accepted that they were the perfect band for this festival. Thanks so much to the agency for finding us exactly the right act. You can always tell a great band by how many people they get ‘on the floor’. I noted that the DJ, who was playing pretty decent music, had about 10 or so people dancing, but when the guys started there was a stampede! I’m just back from our mini-honeymoon and wanted to say thanks so much for playing at the wedding. The feedback has been pretty unanimous – everyone thought the band was incredible! They played some real classics and with a fairly well-educated audience, they definitely appreciated not only the brilliant sound but their technical prowess too! Thanks so much for being a key part of what turned out to be a perfect wedding day. I hear that the photographer has put another couple in touch with Beats Working after the wedding, so I hope you’ll be coming down to Huntsham/Devon on a regular basis! I can’t thank the band enough!! Patrick and Livia, our newlyweds, were so pleased with the band’s performance at their wedding reception. The band played brilliantly with a great choice of songs and they had all the guests up and dancing from the very first track. We would recommend Beats Working for any function or reception party. A friendly band and very accommodating too. I would definitely have them play for us again in the future. Beats Working have had the great honour of playing at so many wonderful events over the years. Below is a sample of some of our corporate clients, as well as a selection of the venues we have performed at. I agree to be contacted directly by Beats Working. This info will not be shared with any 3rd parties.